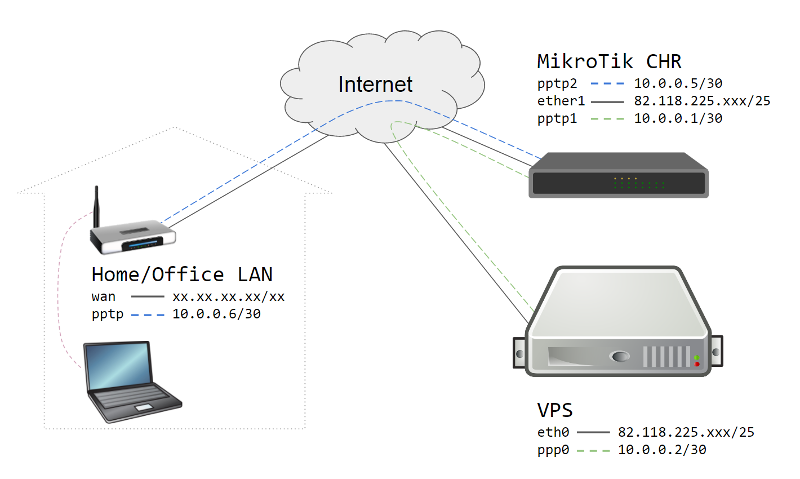 This guide will describe one of the many possible usages of MikroTik CHR and Virtual Private Server (VPS). 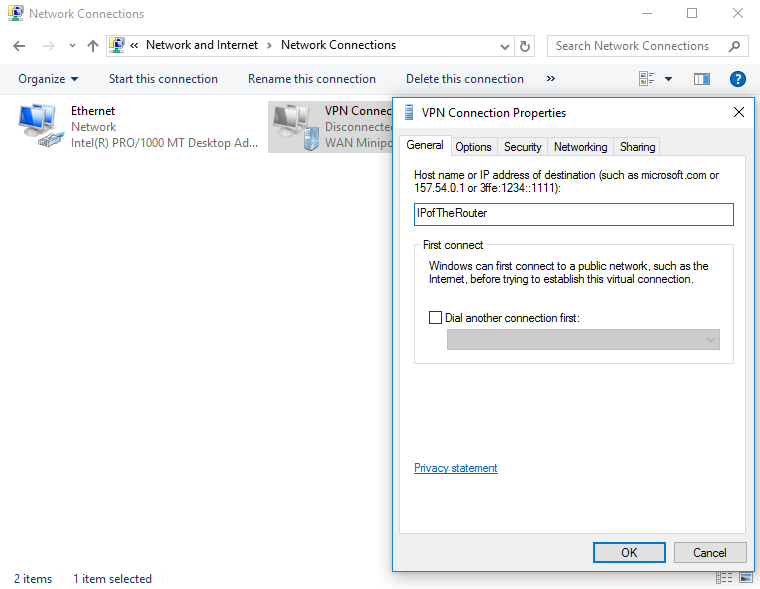 Description: CHR will serve as firewall and VPN concentrator. 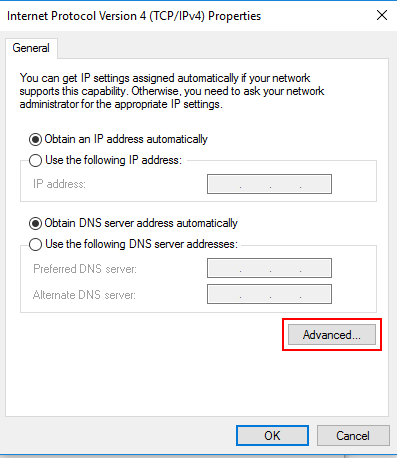 It has local connectivity to Debian VPS, which is completely secure due to the cloud environment. 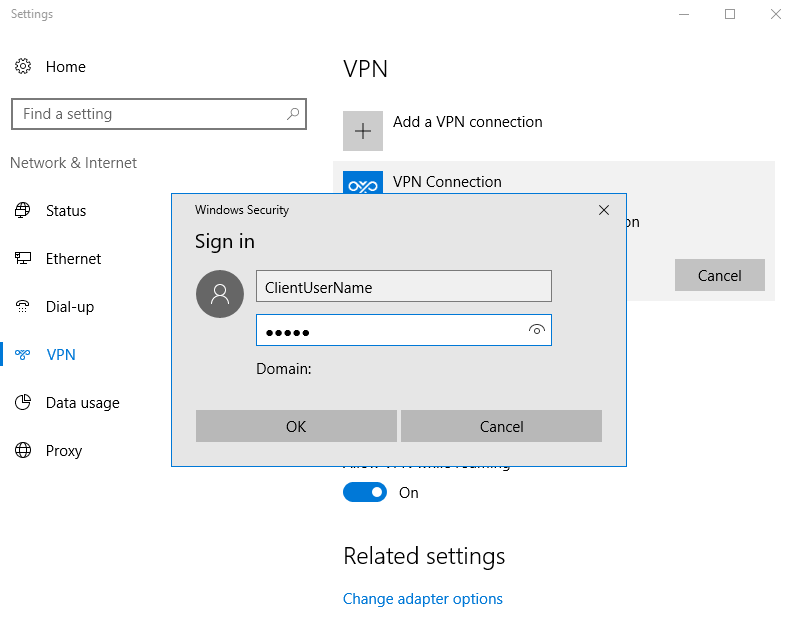 The server connects to the VPN server over PPTP and the new tunnel will be used to route all the traffic to and from the server. 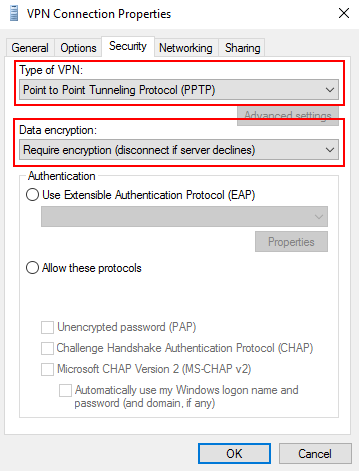 Default GW on the server is changed to be served by the VPN over the tunnel. 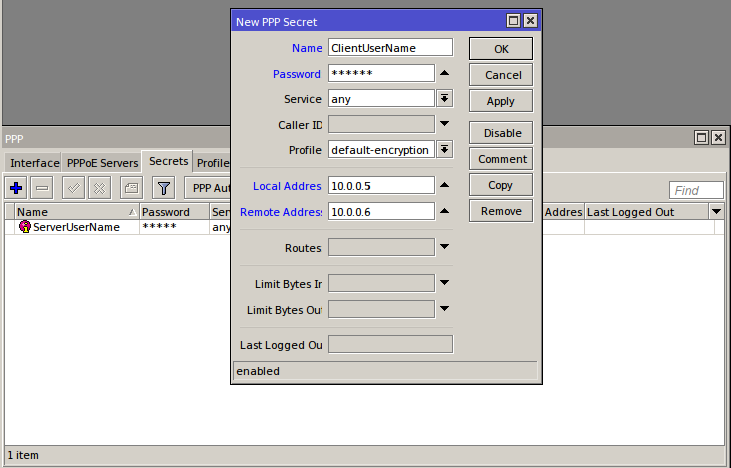 The client’s computer also connects to the VPN over PPTP, and gains access to the server’s resources. 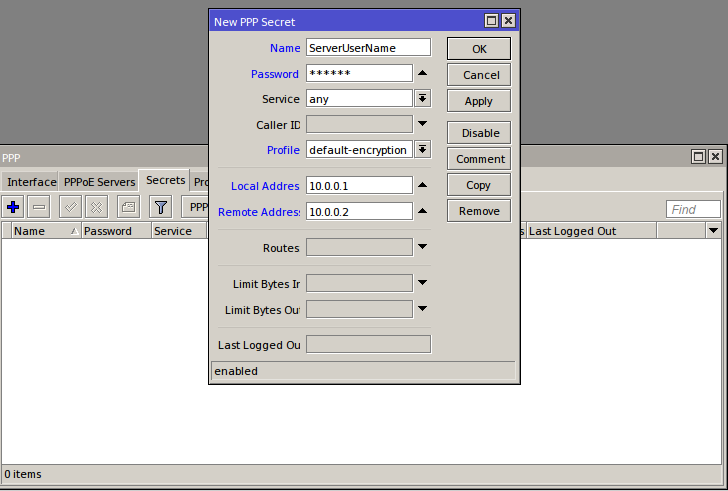 All connections are managed on the CHR and could be filtered very tightly to rise the security level. 7. 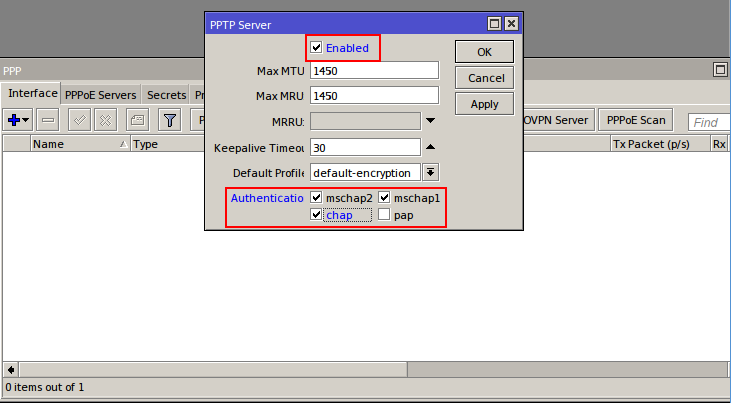 On Name, define the username of the server. 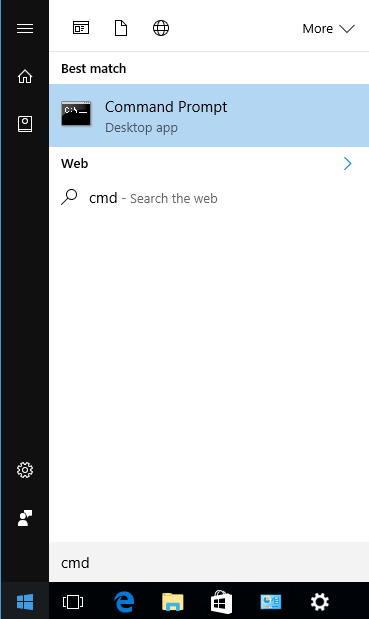 Click OK to apply and save the new profile. 8. 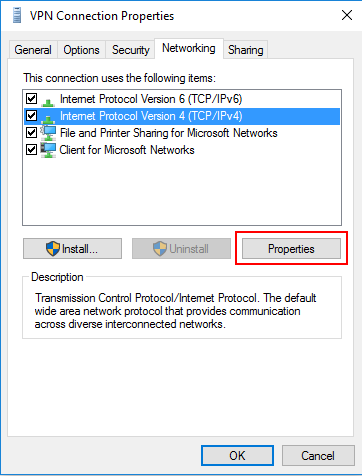 Add another profile as the above for the client connection as shown in the picture. 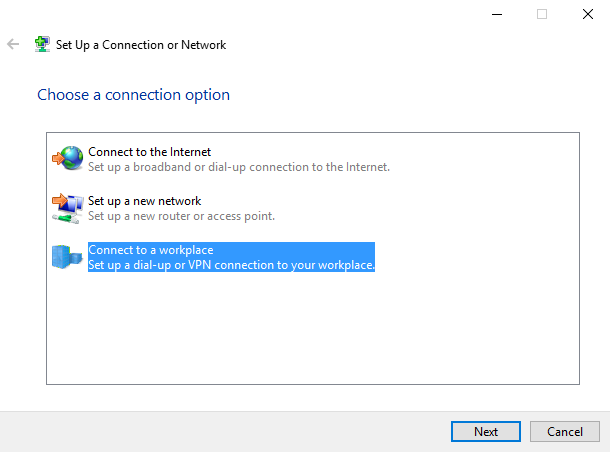 That’s all to configure on the server and the router sides. 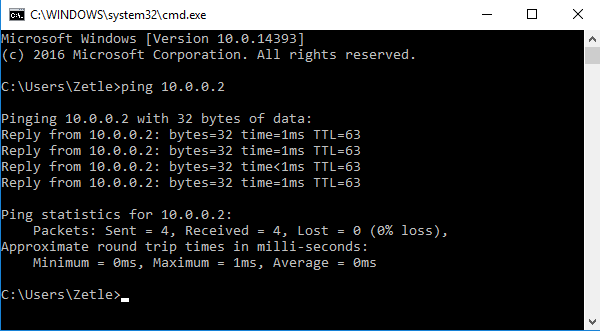 Now reboot the server. 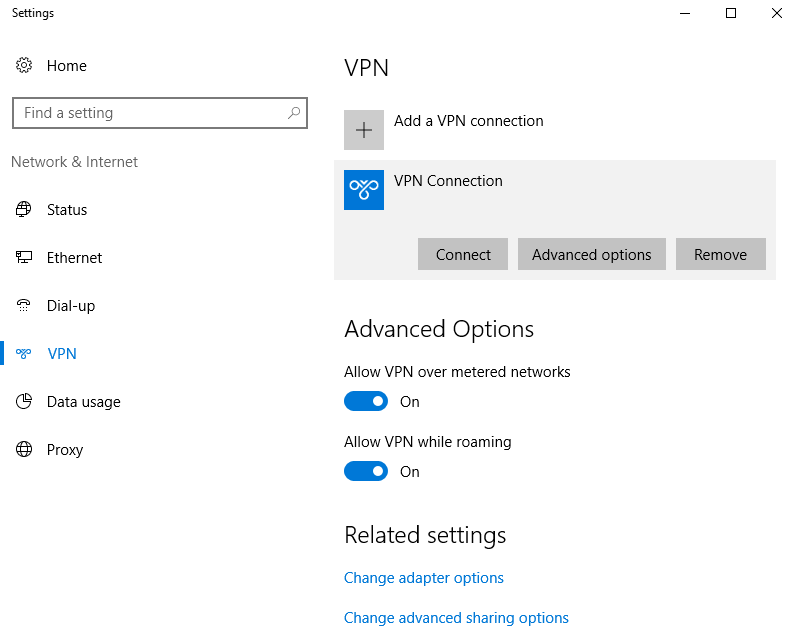 Note: After the reboot, there will be no connection to the server outside the VPN. 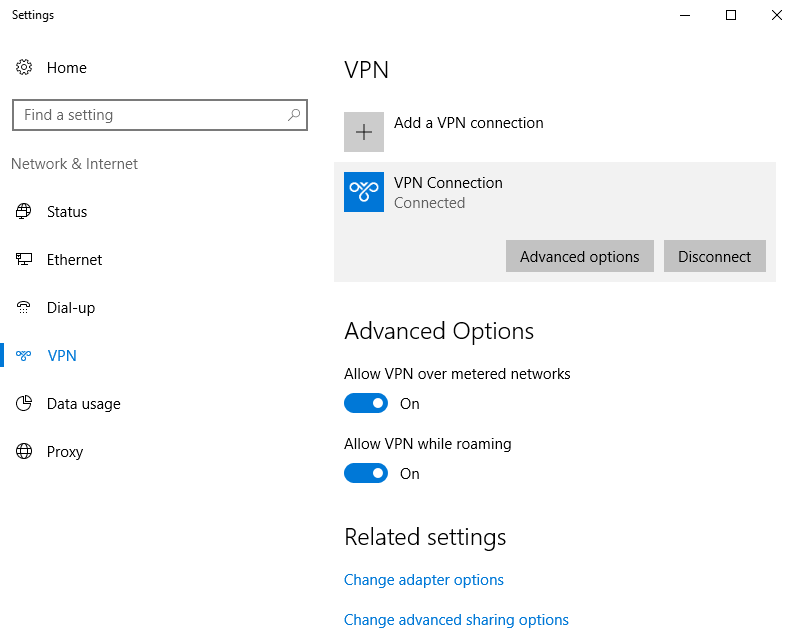 To access it again You must be connected to the VPN Server. 10. 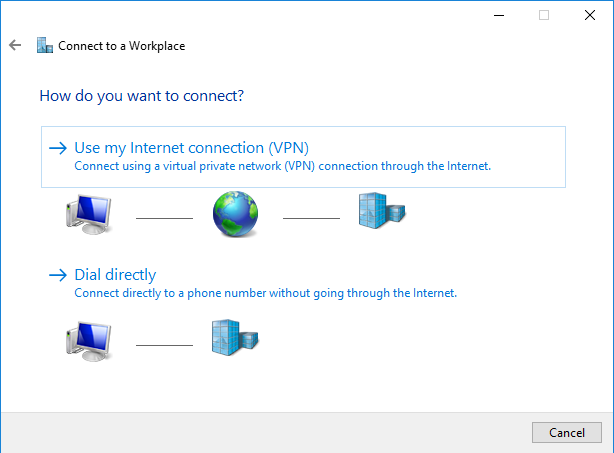 When double click the connection, the VPN screen is shown. 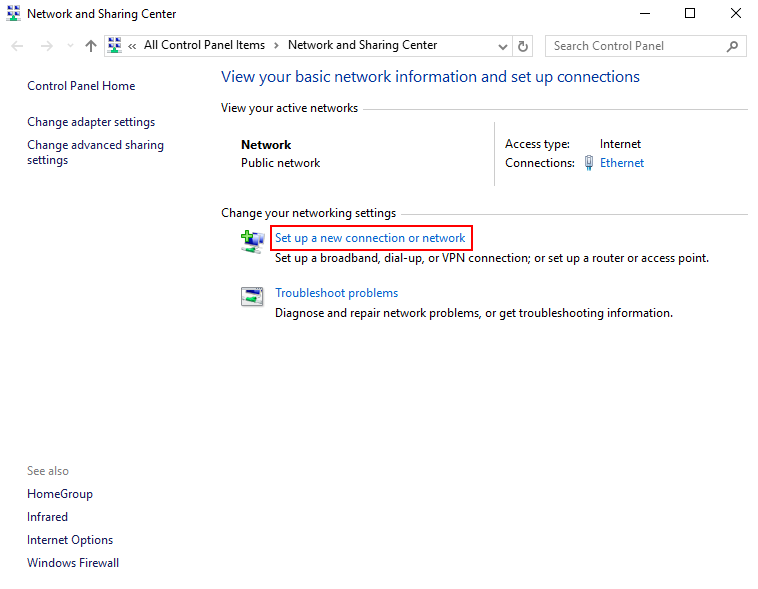 Select your new connection and click Connect. 11. 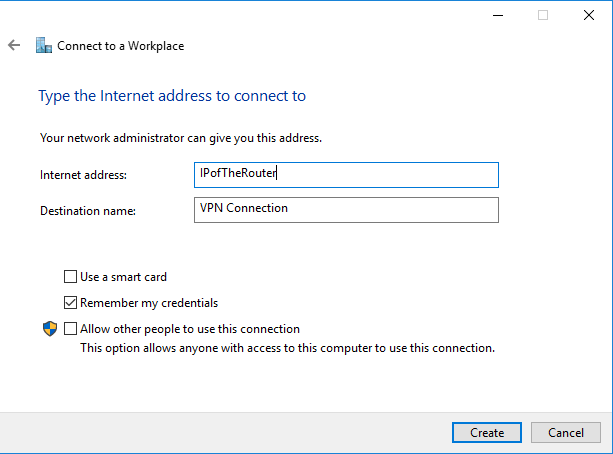 In the pop-up, type-in the credentials you set in the VPN Router and click OK.
II. 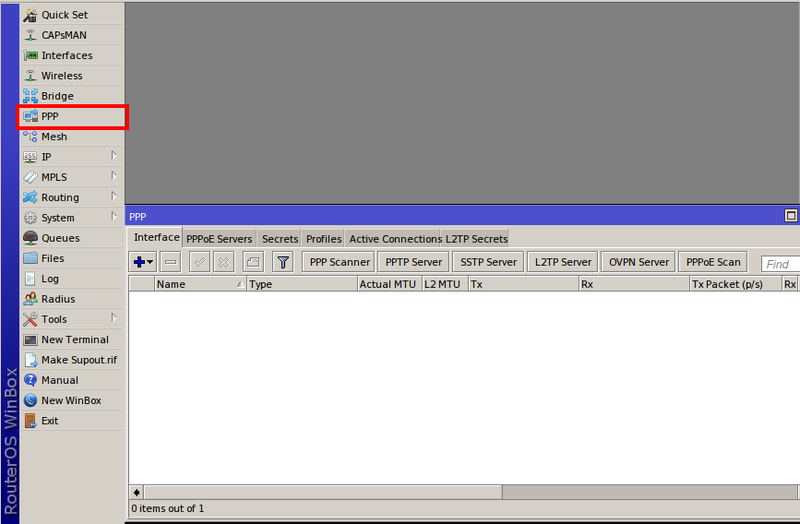 If something has gone wrong and You can’t see the server over the tunel, use the VNC Console in the client area. III. This is basic setup guide! 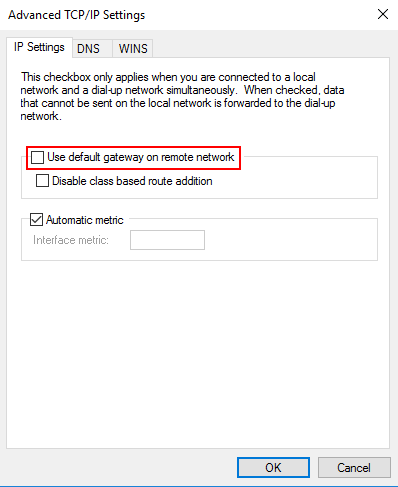 You MUST take care of securing the MikroTik using appropriate Firewall rules. Purchase the most appropriate MikroTik CHR VPS plan for your project & take advantage of up to 30% off.